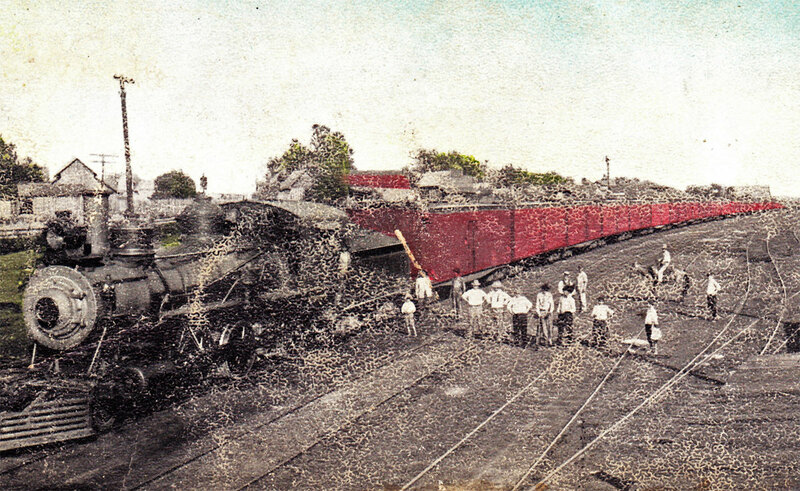 In 1900 a crew for the TN&O Railroad was conducting a survey for new lines when they discovered a scenic stretch between the old historical points of Kickapoo and Fincastle. They were so impressed with the spot that they plotted a city that would become Frankston. Not only was the town advantageously located close to Dallas and Houston, it was within a twenty-five mile radius to prosperous neighboring towns of Palestine, Athens, Tyler, and Jacksonville. Most of the town’s first residents moved from Kickapoo, a nearby old Indian battleground site. Soon business shacks sprang up on the east side of the square. These were built by Frank Garner, George Beard, Bart and Lawson Bizzell and others. The first business “house” was completed in 1901, and contained the post office. This building was originally called Ayres, for Dr. Ayres, the only physician in the new town at that time. But Miss Frankie Miller had endeared herself to the community through her donation of property, so to pay homage, the post office and the railway station were named Frankston. Lumber was the first industry of Frankston, and some lumber businesses were still in operation well into the 1980s. Cotton served as the basis of the economy around 1925. 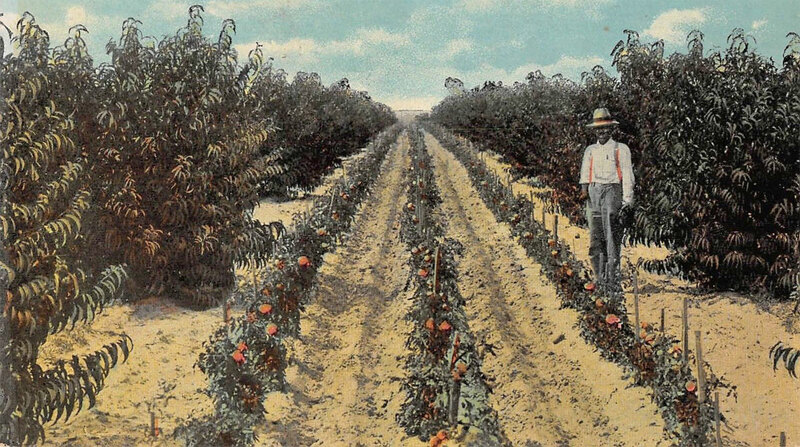 Peaches and tomatoes were major crops, as was typical for the area (neighboring Jacksonville ranked as the Tomato Capital of the World). The railroad station, south of the square, was a center of town activity. During its heyday, Frankston boasted three hotels, a number of gas stations and cafes, various retail ventures, a basket factory, a livery stable, and a theater.